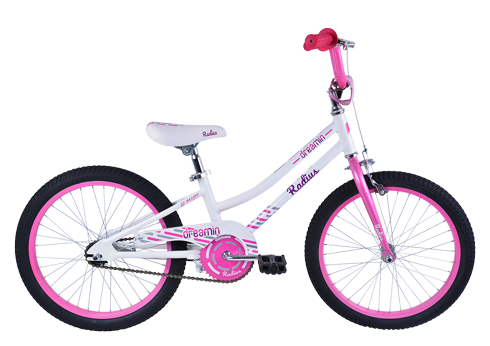 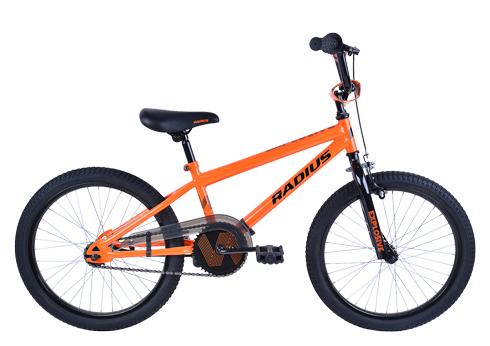 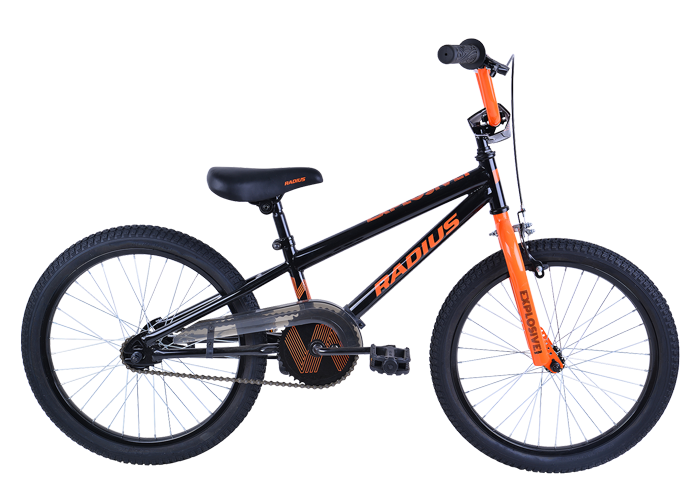 20" Junior BMX hi-tensile frame, with Radius Junior Mini BMX geometry. 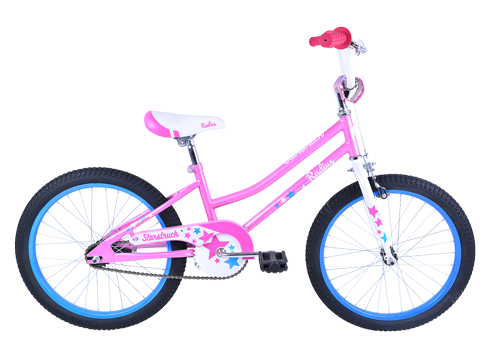 A shorter top tube than the standard Explosive frame, allows this model to fit smaller riders that want to grow into the bike. 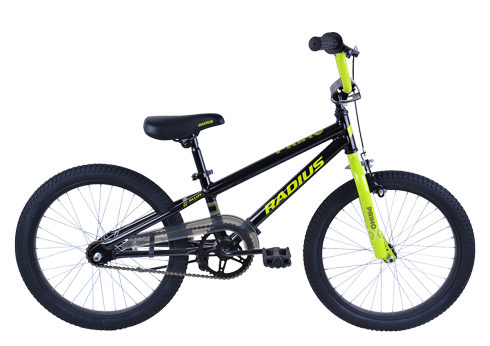 Low stand over height for easy mounting and confident riding. 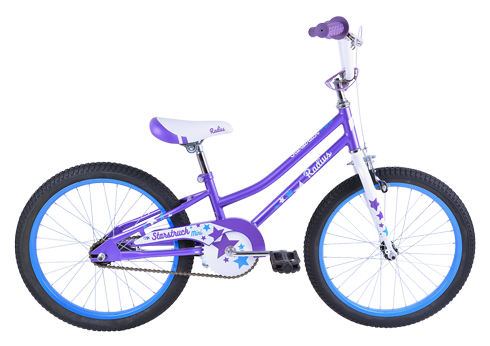 Steel BMX fork creates a stable ride and a sporty look with snappy handling. 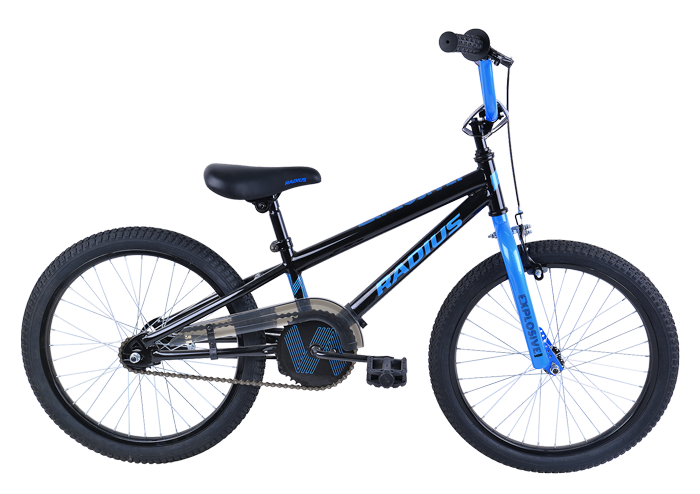 20" BMX Knobby tyres, great for riding in the dirt. Super comfortable junior BMX saddle and BMX specific grips, for ultimate riding comfort.